DR. MARCO RIZZO. 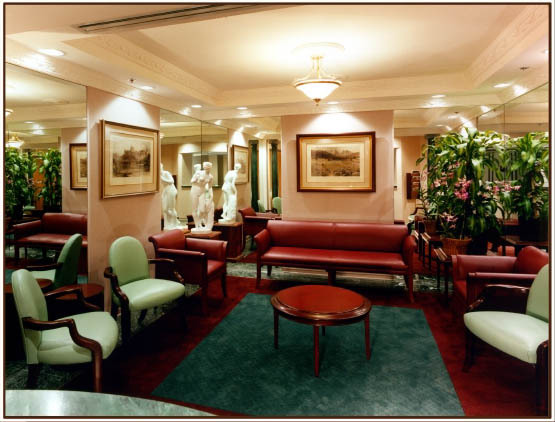 The reception area of a plastic surgeon who specializes in beautiful self images should reflect this attitude of grace and elegance. Dr. Rizzo is a man of eminent charm with family roots in Argentina and Italy. He wanted a reception area that would speak of this heritage but also be contemporary in impression. The room was spatially enhanced by the use of full-length mirrors framed by deeply upholstered walls and European heritage crown molding. A sculpture of Aphrodite, the Greek goddess of beauty is prominently displayed. The leather upholstered seating is sensuous in design with classical reference. 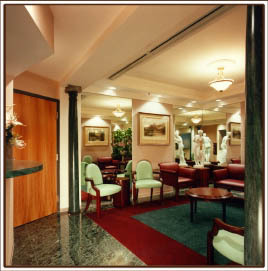 The entry floor and counter are Italian marble. The counter is framed by Corinthian columns. 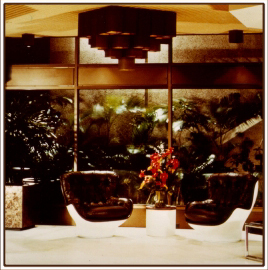 The overall ambiance is sedate and timeless. BANK OF HONOLULU. A newly enfranchised bank, this first branch location demanded an image of prestige and credibility. 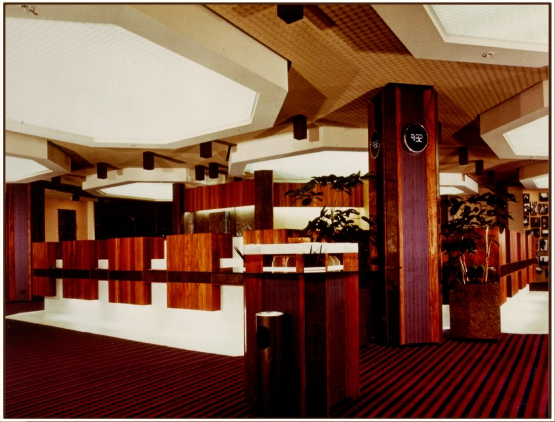 The space did not have the typically high ceilings associated with banks. A matrix of faux skylights helped to give the ceiling a more impressive impact. Bronze paneling is juxtaposed with koa planking in a warm medley. The color scheme runs from royal purple to plum red. This rich color palate enhances the white marble counters and floors at the cashier counters. 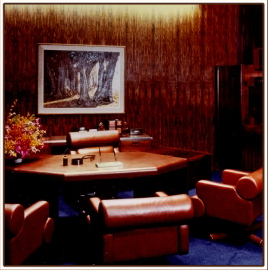 The office of the bank president is paneled in rose wood and features a matched set of roan leather in a contemporary style of great impact. 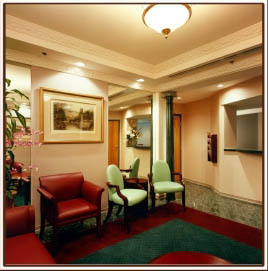 The overall feel of the bank is impressive but warmed by the colors and features.